The leader of the BC Liberals is calling for a ceasefire between parties as the provincial government works to rebuild public trust in light of bombshell spending allegations at the legislature. 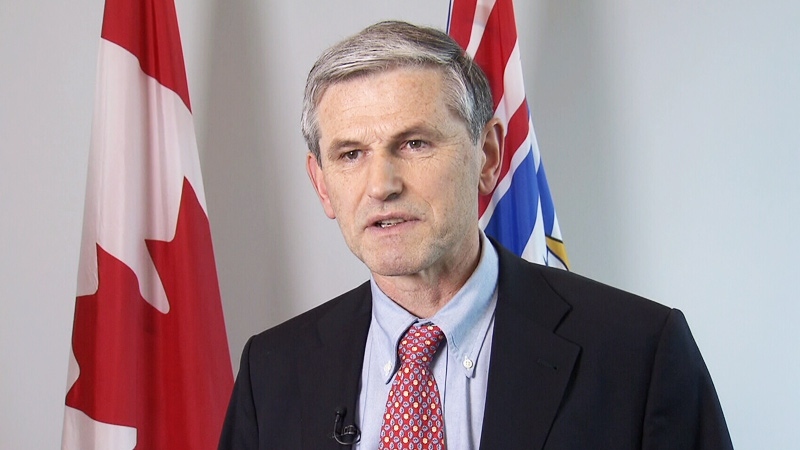 Andrew Wilkinson addressed reporters Thursday for the first time since Speaker Darryl Plecas's 76-page report on alleged "flagrant overspending" by two top officials triggered a wave of public outrage across B.C. The Liberal leader suggested all parties work together and halt "political sniping" as the government grapples with fallout from the scandal. "No one in this province benefits from a squabble between political parties about accounting issues in the past," he said. That call for non-partisanship was rebuffed within minutes by B.C. Premier John Horgan, who criticized Wilkinson and the Liberals for unleashing a barrage of attacks on Plecas over the last two months. "I recall in December of last year, the leader of the opposition called the Speaker a 'rogue' and 'out-of-control,'" Horgan said. When the two men at the centre of the spending allegations, Clerk of the House Craig James and Sergeant-at-Arms Gary Lenz, were first suspended back in November, details about the Speaker's concerns were scarce. Wilkinson responded to the slowly unfolding scandal by suggesting Plecas might be "building his own little empire, staffed with expensive lawyers, with investigators with no credentials." Asked whether he believes Plecas's report has vindicated the Speaker, Wilkinson emphasized the importance of following through with a full-scale investigation. "Many allegations have been made in this institution in the last 10 weeks," he said. "It's not up to all of us to be judge and jury. Allegations have been made and they need to be clarified." Some of those allegations now involve MLA Linda Reid, who was Speaker under the previous BC Liberal government. A whistleblower came forward this week to allege he was dismissed for questioning Reid's expense claims, resulting in calls for her to step down from her current role as assistant deputy Speaker. Wilkinson said it's important for the government to "completely clean house" to earn back the public's trust, but did not join calls for Reid to leave the Speaker's office. "I understand there's been some controversy about parking and taxi fares. That needs to be sorted out promptly," he said. "If there's been any overpayment to individuals they have to be paid back promptly." Some of the most stunning claims in Plecas's report revolve around other officials' luxurious overseas travel and the use of taxpayer money to buy expensive suits and luggage. Wilkinson suggested the government can begin to reassure the public by banning all foreign travel unless it's approved six weeks in advance, and by posting all expenses from the legislature online. "It's a grave concern when we see allegations of grossly excessive spending with no justification. People are entitles to be offended by that," he said. He also called for an immediate investigation by B.C. Auditor General Carol Bellringer, a move Horgan said he supports. BC Liberal leader Andrew Wilkinson speaks to reporters on Monday, Feb. 5, 2018.